SSL stands for Secure Socket Layer. It is an encryption protocol that implements https as the transport protocol for URL. Simply from a non-technical perspective, you can differentiate a website using SSL and non-SSL version of URL is by looking at padlock in your browser. If it has an SSL certificate installed on their servers, website will use https:// and those that does not have certificate use http:// version. Encryption gives users security and privacy over a network and the Internet. Google started offering more value to website and blog that implement encryption in the middle of 2016. Encryption and Security has become a new standard in this decade. It is a good thing to see, data security with encryption will eliminate man in the middle attacks to maximum extent. Starting from 2017 onward, Google Chrome will start flagging unencrypted connections and Google will be making it mandatory to implement SSL for websites. As per Matt from WordPress, WordPress is going to recommend the web hosting companies that offer SSL as standard with web hosting plans. We can also categorize SSL certificates as domain based and wildcard based versions. If someone uses a domain based one, it is valid for a fully qualified domain name and www variation of root domain or sub domain. Wildcard based SSL works for all the sub domains of a fully qualified domain. Ubiquity is another major parameter when choosing a SSL certificate vendor, as the root CA bundled with most browsers can read and validate only few certificate authorities. Most WordPress users are bloggers, who does not know how to install the certificate. It is a complicated process if not done correctly may break the website. In 2016, LetsEncrypt plugin for CPanel is made available. Rank My Hub is first to implement this feature. It is a free service (certificate authority) that aims to encrypt the entire web. Lets Encrypt offers domain validated SSL certficates for single fully qualified domain and sub domains during a single execution of the script. Also, you can always install as many ssls you want for all the sub-domains you create with a single click. You can visit letsencrypt official website to know , how it works. Most traditional hosting companies you find on the internet every day is still using old technologies, and they are still not implementing open SSL by LetsEncrypt. The reason behind this is very simple, if they offer SSL for free, customers will stop buying paid SSL certificates. It is a huge revenue loss for them, and of course, they are not in support of free speech or technologies like this. You would be surprised to know if we reveal the fact that most popular brands in web hosting industry are still not following best security practices. We see everyday the wordpress instances getting hacked, hosted on Godaddy, Bluehost, Justhost and few other EIG companies. Unfortunately their market share is so high, that people are not ready to accept if we say that their hosting is weak. They still use outdated control panel, mysql and php. If you are a developer or non developer just upload a file with phpinfo script and see the software versions. At Rank My Hub we are a transparent company, and we are the first web hosting company in India to offer LetsEncrypt integration with CPanel. With LetEncrypt CPanel Plugin you can issue Certificates for a root domain and subdomain in less than a minute without any hassles.We also follow and implement best security practices. We regularly scan our accounts for virus or malware and clean them or delete them at the earliest. As we use cloudlinux, our hosting is most reliable and safe. Cloudlinux prevents any compromised accounts to spread the virus to another customers accounts. Normal shared hosting companies compromise on software and harware, as they invest too much on advertising. Of course as we said, they are not ready to care for their customers. 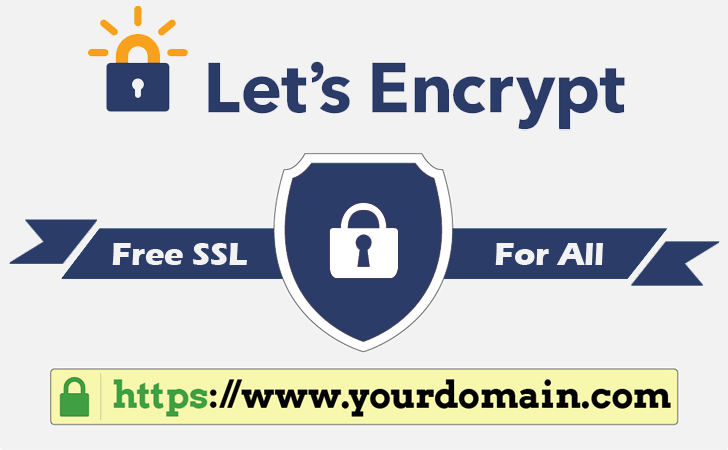 Unlimited SSL Certificates for FREE for Unlimited Domains and Sub Domain with Lets Encrypt Plugin for CPanel. Switch to Rank My Hub Web Hosting now for Lets Encrypt Enabled Cpanel Web Hosting. We are future ready for WordPress 2017 updates and Google. Switch to our web hosting services and get the best services, support, and software. If you are our customer, enjoy this great news and spread it and help your friends and partners. We have website hosting plans for everyone and every budget. Indian customers can choose our web hosting plans. International customers can choose hybrid web hosting or managed web hosting plans. All our servers come with FREE SSL certificates issued by LetsEncrypt and Multiple PHP Versions to stay ahead in 2017. Let us know your thoughts on this article, is your web hosting company ready for 2017? Comment below.